Water Damage Pinellas Park Free Inspection! At 911 Restoration Tampa, we always respond fast to all situations because we know how quickly mold and structural problems can begin to develop. In fact, our water damage Pinellas Park team responds within 45 minutes to all issues in the area. 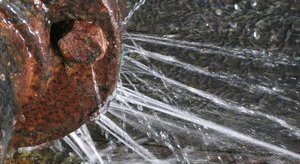 Water damage can cause serious harm to both the health of your family and the structural integrity of your home as forces of water find their way into floors, walls and other important systems, so before the destruction turns into an all-out emergency call our water damage Tampa specialists at 911 Restoration Tampa. Mold infestation is particularly destructive because it can cause health problems for you and your family, as well as structural integrity issues by eating away floors and walls in your home. Don’t let things get this out of hand, call our water damage Pinellas Park team today and we’ll remove all water damage in your home before mold has a chance to grow! Due to untreated water damage causing mold our water damage Pinellas Park specialists recommend calling 911 Restoration at the very first sign of initial water damage. Even minor water leaks can cause lasting damage to the foundation of a structure if allowed to get under surfaces, often leading to dry rot, mold and other long-term structural and health hazards. While severe weather cannot be avoided, there are many preventative measures that can be taken to guard against water damage and resulting mold. At 911 Restoration, we offer a free inspection to make sure that proper downspouts, gutters, sewage back flow valves and other drainage devices are installed and working properly in order to prevent a minor incident from becoming a major problem. Our water damage Pinellas Park professionals always put the customer first, so we will even file your water damage insurance claim when you call us for water removal issue or plumbing repair. So don’t wait, call us today and we’ll answer all of your insurance questions! Insurance in the form of a homeowner’s policy usually covers typical water damage problems like a pipe burst, but our water damage Pinellas Park insurance specialists remind our customers that other problems like negligent acts, water damage due to weather and even mold are usually not covered. With 35 years of experience in insurance coverage, our experts at 911 Restoration can walk you through all of the fine print of your policy. We also specialize in assisting with maintenance so we’ll give you a free inspection to make sure that future claims always get covered. You definitely want knowledgeable minds on your side when dealing with insurance claims because according to the Insurance Information Institute, hurricanes and related water damage is responsible for the largest amount of loss of any disaster in the U.S.
With experience, knowledge and expertise to handle every aspect of the insurance claim process as well as all your restoration needs, 911 Restoration is truly the best so pick up the phone and call our water damage Pinellas Park team now! 911 Restoration Tampa is the best company for water damage restoration because our water damage Pinellas Park experts have over 35 years of experience providing water restoration, moisture removal and drying services to the Pinellas Park area. We are truly the industry leaders when it comes to solving water damage issues fast and efficiently. Pinellas Park, Florida has a sea-level location and close proximity to Tampa Bay, making it a beautiful city to raise a family but also a location at high risk for flash floods and severe weather disasters. When you use 911 Restoration you can rest easily knowing that when unexpected floods ruin your carpets or crawl space, our water damage Pinellas Park operatives are available 24/7/365 to immediately begin repairs on your home or business. Don’t let bad weather or broken pipes flood your home, call our water damage Pinellas Park team with 911 Restoration Tampa for a fresh start for you and your family today!